Terry Donovan, who for the past three years has served as Fresno State's Senior Associate Athletics Director for Business Operations, has been named Director of Athletics at Stanislaus State, a role he will assume on May 1. 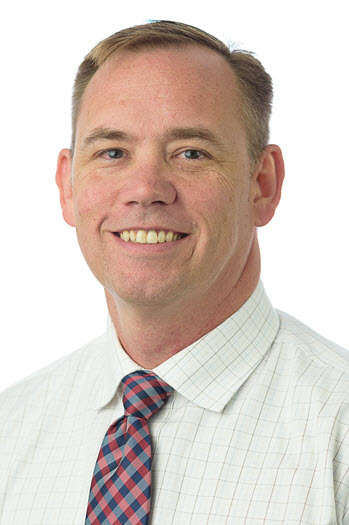 Donovan brings 18 years of experience in college athletics administration to Stan State, including holding previous leadership positions at Syracuse University, Arizona State University and at his alma mater, the University of Nevada. “Terry Donovan’s leadership and experience in athletic program administration, university and external Relations and financial affairs will strategically position the Stan State Athletics Department for fiscal sustainability and growth,” said University President Ellen Junn in a joint statement with Vice President for Student Affairs Suzanne Espinoza. Donovan served in several roles within Fresno State athletics, including financial affairs, equipment operations and sport supervision. As the sport supervisor for football, Donovan helped bring Mountain West Conference Coach of the Year (and Fresno State alumnus) Jeff Tedford home to the Central Valley. In 2017, the Bulldogs became only the second team in Division I history to go from double-digit losses in one season to double-digit wins the next. Donovan was also the sport program administrator for men’s and women’s tennis as well as supervising the department’s $44 million annual budget. Donovan’s wife Brandi is a native of the Central Valley, and they have two sons: Eli (9) and Colby (5). Donovan has served on several conference and national committees and was selected to the NCAA Resource Allocation Working Group national committee in 2011. He has been a member of the Collegiate Athletic Business Management Association for 12 years and was a guest presenter at the 2006 N.A.C.W.A.A. Convention in Denver. Donovan has also served on several committees in the Big East and Atlantic Coast Conferences. A committed life-long learner, Donovan has participated in several national leadership development programs, including the D1A Athletic Directors Institute in 2010 and 2014, as well as the Collegiate Athletics Leadership Symposium in 2017. Donovan earned two degrees at Nevada, including his undergraduate degree in finance in 1997 and his MBA in 2003.